Are you preparing to go on vacation soon? Good for you. Getting away for a while will be great. 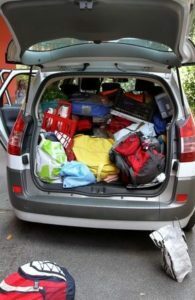 However, before you drive away or take off, you should take some time to make sure you’re 100 percent ready to go. Here are a few things you should check off your to-do list prior to leaving the house. Far too often, people wait until the very last minute to pack their bags before going on vacation. You should try and pack a few days early so that you have enough time to think about what you may have forgotten to put into your bag. From clothes to toiletries to phone chargers, there are so many things to remember these days. Don’t forget them at home! Arrange to have someone pick up your mail and newspaper. Whether you’re going away for a few days or a few weeks, it’s a good idea to have a neighbor or friend come and pick up your mail and newspaper. Otherwise, everyone who walks or drives by your home will likely figure out that you’re gone. It could leave your home susceptible to criminal activity. Make sure you have all of your important documents with you. Did you pack your state ID? Your credit cards? Your prescriptions to show that you’re legally allowed to take the medications in your bag? It’s always good to bring more identification than you need, just in case. You never know what might happen from the time you leave your home to the time you reach your final destination. You could get stuck in hours of traffic or your flight could be delayed. You should have your electronics fully charged before you leave your house so that you have access to them while you’re on the road or in the air. When you follow these steps, you will be able to kick back and relax once you get to wherever it is you’re going. 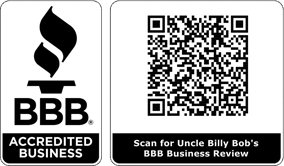 Uncle Billy Bob’s hopes you’ll consider staying with us during your next trip to Idaho. Call us at 208-462-5BOB to reserve one of our rentals.